This article is the second part of a series on project management for records managers, published in ProfessioNotes, the newsletter of the Institute of Certified Records Managers (ICRM). The series focuses on six key areas of project management: selection and prioritization, leading and managing teams, planning and scheduling, budgeting and performance, communication and documentation, and completion and review. Project managers conducting records management assignments must be committed to leading their team to success. Frequently, they work without high-level support, at times with active resistance, and occasionally in the absence of any evidence that the project is possible! Courageous leadership in the face of obstacles is required. Project managers are expected to be both good managers and leaders to be effective. An ability to lead is one of the most critical competencies a project manager should have. The project manager’s leadership ability is usually expressed by influencing the behavior and attitudes of the project team. The effectiveness of a leader is, therefore, dependent to some extent on their power. One of the biggest challenges for project managers is to be a working project manager, or one who performs work while managing the project. For small teams, a project manager can do some of the work. As team size increases, it becomes impossible to work and manage simultaneously because the tasks distract from the needs of team members. When a conflict between managing and working exists, performing tasks takes priority, and management is neglected. The project manager should always focus on controlling the project, not on performing the work. Projects are often undertaken in environments where the project manager has little formal authority. Even for project managers who do have authority, contributors who work for other managers do portions of project work. Project leaders must assume control whether they possess the authority or not. Managing without authority takes charisma, flexibility, patience, and persistence. Stakeholders can make or break the project. Some people may have concerns but have no power to change anything in the project. Others may be supportive but lack rank. The opposite is also true: some important individuals may be the champions or neigh sayers for the project at hand. Project sponsors are senior executives responsible for shepherding projects to a successful conclusion. The sponsor must defend the benefits of the project, accept responsibility for funding and budget statuses, concur with project and charter requirements, and be knowledgeable about planned and actual results. They assist their project teams in resolving organizational impediments to project success. Project managers should aim to ensure executive involvement throughout their project’s life cycle by forging solid relationships with their sponsors. The relationships between stakeholder roles are functional rather than hierarchical. Although the sponsor will usually be the most senior member of the project team and will be higher-ranking than the manager, little else can be assumed about the seniority of other team members. Subject matter experts or technical specialists frequently have skills based on years of experience and are often senior to the project manager. The most advantageous size for a project team depends on the project’s goals and tasks. The ideal team size depends on its application. A project manager should strive to have just enough people to do the job. Having too few people slows down work and members may lack requisite skills. Having too many will also impede progress by shifting time and energy to communication and coordination efforts. Commitment may also be a problem, as dedication to the team and its goals diminish as more people are added. Recruit as many people as needed to get the job done. Project teams are a way of managing projects where efficiency performs the work well; effectiveness acts upon the right work. Brainstorming and discussions are good examples of interactive teamwork to generate ideas and solve problems. A small team can produce many options and alternatives; a suggestion from one person can stimulate ideas from the others. The selected option should then have the support and commitment of the team who will collectively share the risk of the decision. Teams tend to make better decisions than the team members would make individually with the same information. A problem for team members is that they become torn between the conflicting demands of their functional manager and their project manager. This situation arises if there is a lack of clarity in their work in their everyday duties and their project assignments. The best way of ensuring that it does not occur is for the team members to start their work by clarifying the needs of the project and agreeing on boundaries. Motivating team members on a project can be tricky. For the most part, project managers lack the authority to hire, fire, or reprimand team members. In most cases, they do not even have the luxury of selecting team members. However, they are still accountable for managing them to achieve the project objectives. Since they do not have much position power, they need to rely on motivation and influence. Recognizing good performance confirms the value of his or her work to the team member. Working with people can be one of the most rewarding aspects of project management. Successful project managers develop leadership skills, build teams, and work with stakeholders. 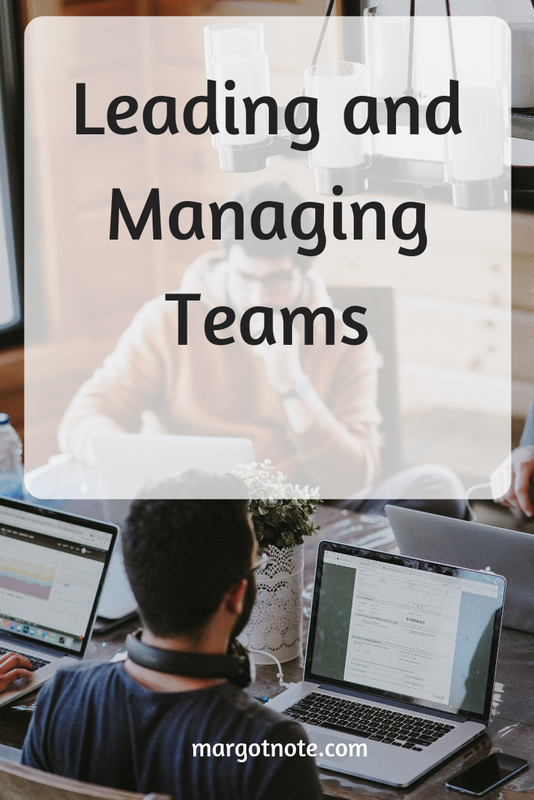 Leading and managing teams is a skill set that is never quite finished; refining your abilities takes times but is well worth the investment in yourself and your record management career.